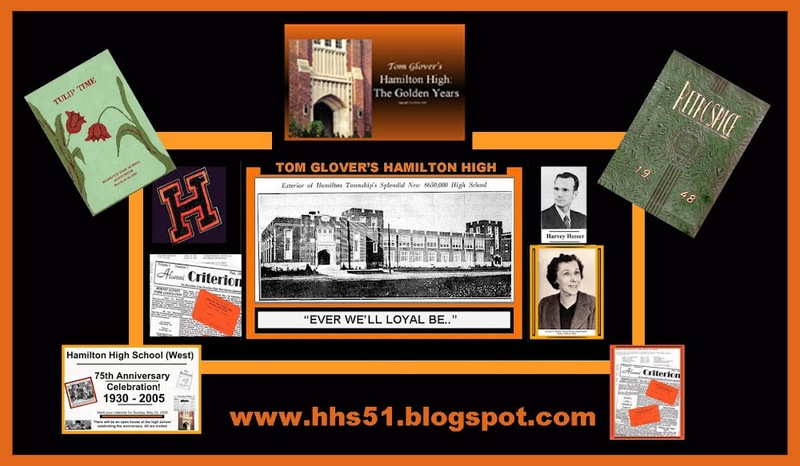 Hamilton High: "EVER WE'LL LOYAL BE"
HHS class of 1966 plan for their 20th reunion. 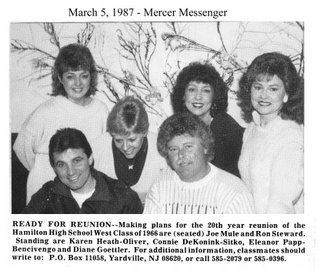 These are the movers and shakers who made the arrangements for the reunion. That's our own Ronnie Steward in the photo lower left. Ronnie was a great sports announcer for TKR Cable in the golden years before Cablevision "of Hamilton" decided to curtail local programming and concentrate on "tv that's close to home." Their idea of tv that's close to home is covering events in Monmouth, and Ocean counties, with a smattering of Middlesex and Somerse, and an occasional minute of two for Hamilton. 1949: HHS to present "Sally"